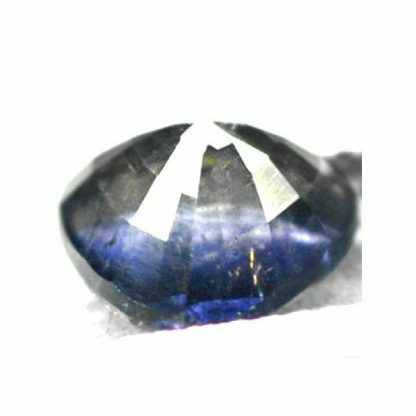 Natural Iolite cordierite loose gemstone, genuine earth mined and untreated, from Tanzania, this gemstone show a deep blue color hue with strong saturation and dark tone, this stone comes in an elegant trilliant faceted cut, and present a clarity a litlle bit included with some minor inclusions. 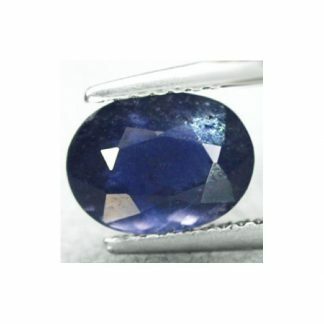 This blue Iolite loose gemstone is available at reduced price and can be used in silver jewelry. Iolite is considered avery powerful mystical gemstone, perfect for meditation, it helps recover lost memory, induce sleep and cure insomnia and protect from nightmares. 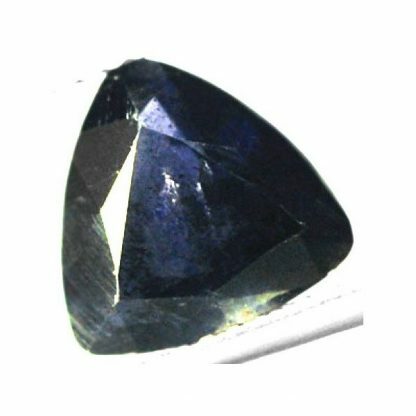 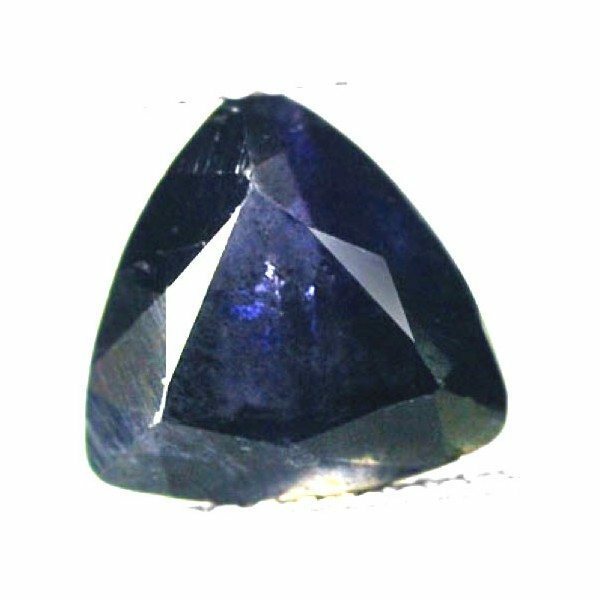 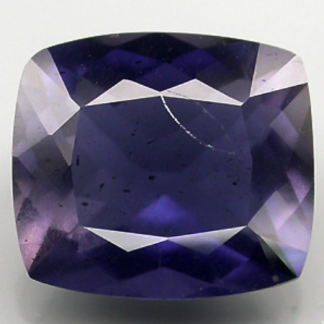 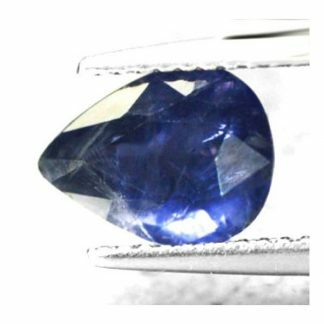 Iolite is considered a medium durable gemstone with an hardness of 7 on the Mohs hardness mineral scale, it can be easily used in jewelry and set into elegant pendant or rings. 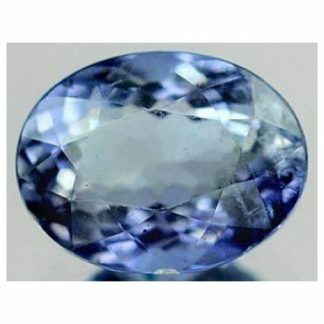 Dimensions: 8.6 X 8.4 X 5.0 mm.